What comes to your mind when you're ask what you would like to have for "merienda" to beat the heat? Halo-Halo, Mais con Yelo or Saging Saba con Yelo are Filipino favorites during the summer. And in case you haven't heard or tried it yet, we suggest you get one get a taste of it now! Under the heat of the sun, most Filipinos find themselves craving for homegrown food, whether it’s something fresh and appetizing like lumpia, or something cold and sweet like halo-halo. This summer, Max’s Restaurant is coming out with its Summer Bundle and Summer Coolers to make sure Filipino families across the country can fulfill some of those Pinoy food cravings and make mealtime with the family just a little more special. This April, diners wanting to bring their family, friends, or colleagues to Max’s Restaurant for a delicious meal can order the Max’s Summer Bundle, which includes some of Max’s Restaurant’s classic menu items, such as the Max’s Fried Chicken, Spicy Sizzling Tofu, Chopsuey, Lumpiang Shanghai, Seafood Kare-Kare, and Buko Pandan. 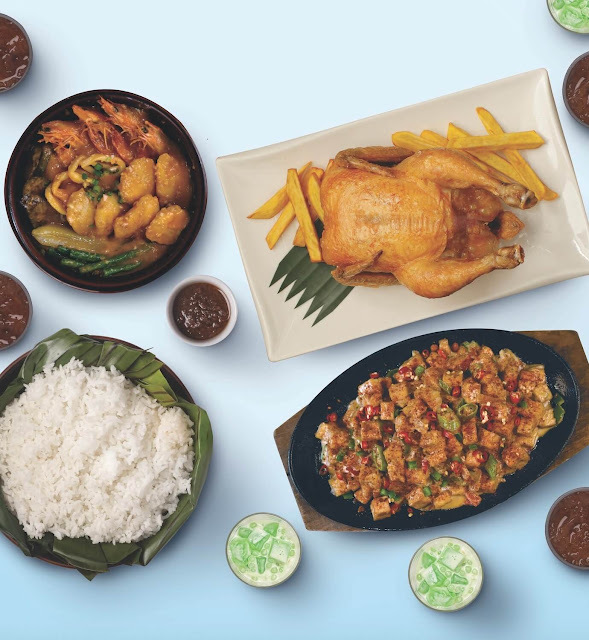 For only PHP 1,399, diners can get a choice of the Spicy Sizzling Tofu, Chopsuey, or Lumpiang Shanghai with Max’s Fried Chicken, Seafood Kare-Kare, four (4) servings of plain rice, four (4) servings of Buko Pandan, and four (4) glasses of iced tea. At the end of the meal, chill out with Max’s Summer Coolers — Mais Con Yelo, Halo-Halo Solo, and Saba Con Yelo. Starting at PHP59, diners can enjoy a sweet cold treat to beat the sweltering summer heat. Summer brings back memories of family and home-cooked meals. We see Filipino diners looking for a taste of home, wanting to bring back those memories of weekends spent at the beach or long stays at a relative’s home, enjoying food prepared well and made with a lot of love... It was important for us to be able to offer that experience to our diners this summer, no matter where they are in the country. Keeping that in mind, we’ve put together our Summer Bundle and Summer Coolers so that Every Kind of Family can enjoy Every Summer Day to the Max. Make family time more special and beat the summer heat with Max’s summer specials. For more information on the Summer Coolers and the Summer Bundle, visit https://www.facebook.com/maxsrestaurant.